Such a great place! Perfect location! Easy to get to all the popular sites by foot! Beds were comfortable! Would highly recommend! Overall hostel is amazing. We had such a great stay here but WiFi is relatively slow or sometimes inaccessible from the floor 3. Everything was really good. There was just people make really noise next to the my room. And cleanless in bathroom would be better. For this price, it is really good. The location Is Great , close to all the Nice Spots in the old town without the crowds and the Noise , the train Station Is really close and there Are Nice Bars and Restaurants around. I stayed in a 6 beds room and Even when i found the room too small for so many beds it was perfectly clean and that helped. The Personal Is súper Nice and helpfull and they always receive you with a smile. Sadly the hostel doesnt have much Environment so its Not a Place for making Friends i think. But its Good. Nice hostel. The rooms are good and the beds are comfortable. Staff are really helpful. Breakfast isn't included but its pretty cheap and they have a decent spread. The beds and the dorm rooms are big. THINGS TO IMPROVE ON: night light on each bed and power outlets on each bed, also, soap dish or shower caddy in the shower rooms. I like that they provide hand soap in the bathroom for washing your hands. These little things make a lot of difference to travelers. Also it would be nice if there are curtains by the bed for privacy. The rooms were clean. In the future I will stick with hostels with communal bathrooms, one bathroom for 6 people isn't enough when there were no places to do hair (outlets, mirrors, shelves, etc) in the room. The heaters in our room did not work, when I brought this to the staffs attention they offered to move me. 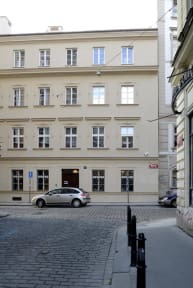 The staff was friendly and knowledgeable but the hostel didn't seem organize group outings/activities to facilitate meeting people when traveling alone. The wifi wasn't working, which is pretty important because the wifi was the only thing we were depending on for internet. When we spoke to the manager, he said he was busy dealing with other things (which is not cool). They also made us shift our room, which wasn't the most convenient because we weren't able to unpack properly. The cleanliness of the rooms and the location of the hostel is really good.